Honorary Advisory Board of "THE COMMONGROUNDS USA". Leaders at our Advisory Board of "THE COMMONGROUNDS". We seek their advisory for our Peace Initiatives in the future. Please meet esteemed personalities: Honorable Jean Augustine PC,CM,CBE former Deputy Speaker and first African Canadian member Parliament. Honorable Dato' Johari Abdul Senior Member of Parliament Malaysia. Honorable Viktor Yelensky, Senior Member Parliament of Ukraine and the head of its Subcommittee for Freedom of Conscience. Hon. 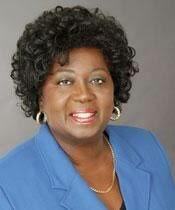 Jean Augustine PC, CM, CBE is the first African-Canadian woman to be elected to the House of Commons. She was elected in the riding of Etobicoke-Lakeshore in 1993 & sat in Parliament until 2006. During this time, she served as Parliamentary Secretary to the Prime Minister, Minister of State & Deputy Speaker. Honorable Viktor Yelensky is a parliamentary member of the Verkhovna Rada of Ukraine and the head of its Subcommittee for Freedom of Conscience. He also serves as the current president of the Ukrainian Association for Religious Liberty. Previously, Yelensky worked as a researcher at the Institute of Sociology and Philosophy and as an editor for the Ukrainian Journal for Religious Studies Lyudina i Svit. 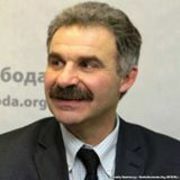 He also taught at the Ukrainian Catholic University and the Diplomatic Academy of Ukraine. Honorable Dato' Johari Abdul Senior Member of Parliament Malaysia. Honorable Dato' Johari bin Abdul Malaysian politician and is currently the Member of the Parliament of Malaysia for the Sungai Petani constituency in Kedah, Malaysia. He is a member of the People's Justice Party (PKR) in the opposition Pakatan Rakyat coalition. He is best know as a peace scholar and a great advocate of human rights.